Oxygen Brings Androgyny and Urban Chic to Philippine Fashion Week Spring-Summer 2012 with Marié Digby, Lamont Waters, Danica Magpantay, etc. Enter Oxygen, a street-ready label that seems tailor made to fit the creative generation. With its unique aesthetic that has been described as combining elements of pop art, 90s grunge, and minimalist tailoring, Oxygen has become a favorite for anyone who wants to exude that effortless, creative aura. Oxygen, whose motto (as quoted from their official website) of “The world is our runway” embodies the brand’s dedication to remain on the cutting-edge of fashion, is practically synonymous with cool, making it a favorite of athletes, actors, and anyone who wants to exude that air of effortless sophistication. It was no surprise, then that their show for Philippine Fashion Week Spring/Summer 2012 invited a huge audience of literati, gliterati, and us mere mortals who don’t fit either category, but can at least dress like we belong to one or the other. Ever the innovator, one of Oxygen‘s main selling points for this collection was a collaboration with Spanish artist Marcela Gutierrez, whose avant-garde pop art graced Oxygen‘s Spring/Summer 2012 graphic tees, and who is famous for her work with big names in fashion like John Galliano and Alexander McQueen. One of her gritty black-and-white paintings was on the invite for Oxygen’s October 28 PFW show at SM Mall of Asia SMX. An invitation you can’t refuse: The work of Barcelona-based Marcela Gutierrez on the invite for Oxygen‘s Philippine Fashion Week Spring Summer 2012 show. 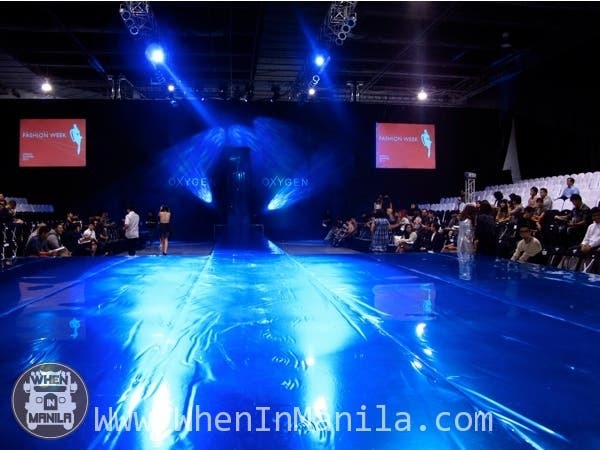 Being a college student with no time to sleep, much less shop, I knew very little about Oxygen, except for the fact that its show was rumored to be one of the shows to watch at Philippine Fashion Week Spring-Summer 2012. The rumors, however, were enough to pique my interest: I was definitely game to view Oxygen’s PFW offerings. My cousin Maxine and I arrived at SMX Hall 2 at seven-fifteen, having just gotten out of the Sony Luxewear show. The long lines in front of the doors hinted at just how big the event was going to be, but this did not hit home until we’d gotten in and seen the set-up. I had naïvely expected something more intimate (read: tiny), but with media coverage from, among others, Maven, Status, Uno, and MEGA magazines, the Oxygen fashion show was shaping up to be anything but…and the show hadn’t even started yet. I was itching to make the rounds, but first my cousin and I had to find our seats, which turned out to be not in a usual “Media only” area, but in the VIP section, whose rows of black-covered chairs each held the promise of a neat black Oxygen goody bag perched on the seat. 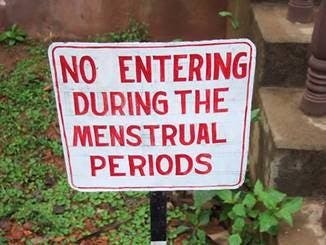 (More on those later.) Of course, if where there is a VIP section, there are VIPs, so while my cousin sat down and enjoyed the general splendor, I set off in search of them. Since we’d arrived fifteen minutes early (skipping dinner; I felt like a supermodel already), a lot of the big names weren’t around yet, but as I made my way to the other end of the space, I managed to spot a familiar face: star blogger Kryz Uy, who I’d last seen in the company of her friends Laureen Uy and Camille Co, at the Guess previews. At Oxygen‘s show, she was looking very refreshing in a floaty top and sunny yellow pants. Blogger Kryz Uy exuded fresh, effortless charm in her summery ensemble. 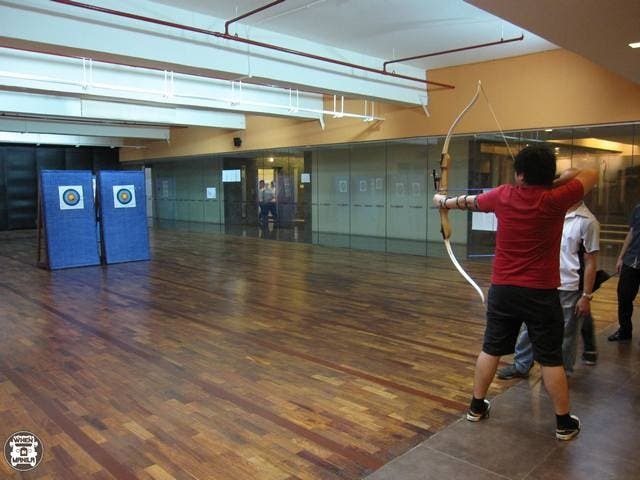 Kryz Uy wasn’t the only familiar face I managed to spot. Though we’d only met a few weeks earlier at the TEDxDiliman arts and culture conference, Sara Meier greeted me warmly when I saw her at the show. The model and media personality wore an Oxygen ensemble she paired with a deconstructed tulle petticoat used as an overskirt, but it wasn’t her outfit that captured my attention. Rather, it was her daughter, a mini-Sara who flashed me a mischievous grin from under her mother’s tulle skirt. Model and media personality Sara Meier, in a playfully edgy ensemble complete with whimsical flapper-esque headpiece and tulle petticoat turned overskirt. I was completely starstruck when I saw one of my idols: F*A*S*H* host Bianca Valerio, who’d come straight from modeling for Pablo Cabahug at the Sony Luxewear show. She’d changed into a more street-ready ensemble of a filmy black top and Forever 21 corset-bra, Terranova pants, and Aldo shoes. F*A*S*H* host Bianca Valerio is a blonde bombshell in Forever 21 and Terranova, completed with a sheer top found bargain shopping. A few seats away from Bianca sat young entrepreneur Brent Javier, in the company of Cesca Litton, Sidney Yap, and Karen Pamintuan. They all gamely posed for photos, then playfully insisted I highlight Sidney Yap’s unique Tom Ford shoes. Also in the same general area, I spotted Maven Magazine stylist Rain Dugala, dressed in Details, Zara, and Perry + Robin. His seatmate, choreographer and stage director Joane Laygo, would pose for a photo after the show, outside where the seats could no longer obstruct a view of her amazing Azzedine Alaia shoes. Young entrepreneur Brent Javier in an Alternative Apparel shirt, Sicily vest, Vans shoes, Levis jeans, and Super shades. 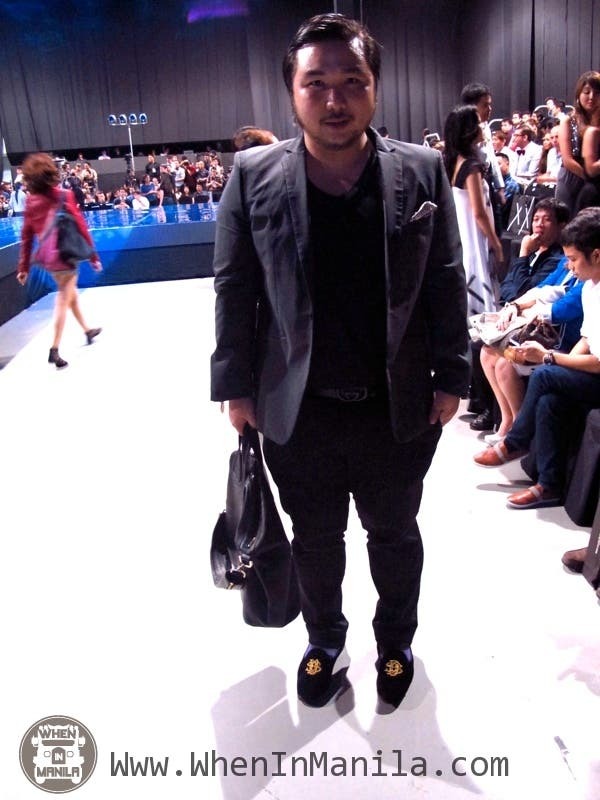 Stylist Sidney Yap in Gap and Zara, with Tom Ford shoes, and carrying a Givenchy bag. TV host, sports enthusiast, and renaissance woman Cesca Litton in Oxygen with a Tyler clutch and Aldo shoes. Model Karen Pamintuan in H&M with a Michael Kors bag. Maven Magazine stylist Rain Dugala. Stage Director and Choreographer Joane Laygo resplendent in Hong Kong-bought fashion, with her statement Azzedine Alaïa shoes. As I made my way back to my seat, I managed to snap a photo of Bianca Gonzalez, whom I’d also spotted earlier that week at the Guess? show, in the company of L’oreal Philippines’ Martin Castañeda. Chatting with them was Jose Castillo of MEGA Publishing Group, and UNO Magazine’s Aileen Frugal. Media darling Bianca Gonzalez with friend Martin Castañeda of L’oreal Philippines. Jose Castillo of MEGA Publishing Group and UNO Magazine‘s Aileen Frugal in a journalistic pow-wow. I found myself seated next to someone whom I swore I’d seen in a campaign somewhere. Apparently, I guessed right: my mysterious seatmate was revealed to be one of Forever 21‘s brand ambassadors, Lissa Kahayon. I was tempted to strike up further conversation, but the spotlights on the runway returned my attention to the main event: Oxygen Clothing’s Spring-Summer 2012 collection. My glamorous seatmate, Lissa Kahayon, a brand ambassador for Forever 21 dressed in a Forever 21 top and bespoke skirt. The show itself began with Oxygen’s Spring 2012 collection, which was dominated by a color palette of blues, whites, and grays. The theme was androgyny, with men’s and women’s outfits subtly sharing many of the same items. Oxygen‘s Summer 2012 collection contrasts bright pink and green tones with sleeker black and white ensembles. While the clothes themselves were more than enough to capture attention, Oxygen also attracted an all-star cast of models. Cheers erupted from the audience when basketball player Lamont Waters walked the runway with Ford Supermodel of the World 2010 Danica Magpantay by his side. A texted tip from my friend also had me on the lookout for another Oxygen celebrity model: singer Marié Digby, fresh from a concert at Robinson’s Place the night before. Ford Supermodel of the World 2010 Danica Magpantay ramps with basketball player and model Lamont Waters. Singer Marié Digby (foreground) glows in Oxygen‘s Summer 2012 offerings. After the show was over, Maxine and I hung back to avoid the rush of the crowds heading for the exits, and hoping to get photos with some of the hot male models. We didn’t get to see them (sadly), but I did manage to get photos with Marié Digby and snap a photo of Lamont Waters. I asked him what he’d rather do, model or play basketball. “I’d rather do…both,” he said, smiling. I pose with singer Marié Digby after the Oxygen fashion show. Basketball player Lamont Waters gamely poses for photos after the Oxygen fashion show. I am rendered completely starstruck posing with F*A*S*H* host Bianca Valerio. 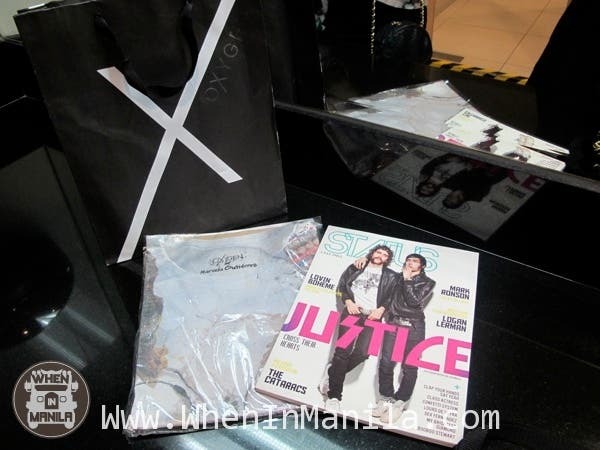 Contents of Oxygen‘s goody bag: a copy of STATUS Magazine and a Marcela Gutierrez for Oxygen t-shirt. Minimalist chic and androgynous style: Oxygen has definitely set the trend of street fashion once again with its Spring-Summer 2012 collection, creating must-haves for all those feeling the need to acquire that artsy urbanite aura. If you count yourself as one of those people, When In Manila, why not check out one of Oxygen’s many boutiques. If this collection is any indication, you’ll definitely walk out cooler than when you came in.